And with our top-of-the-line Lazer Z X-Series, there are plenty of boxes to check. For starters, you can choose from five rugged, commercial-grade engines, including high efficiency Electronic Fuel Injection (EFI) options. Which also features our exclusive EGov and RED technology which can boosts fuel efficiency up to 41%. 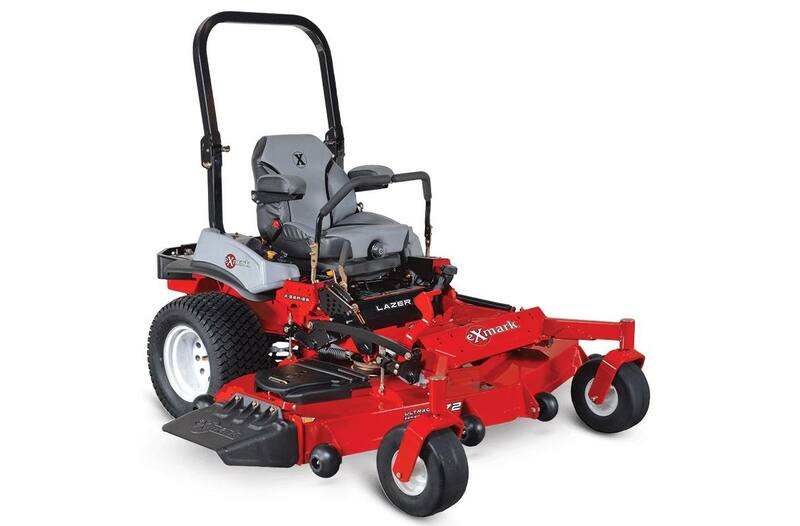 The X-Series also features our UltraCut™ Series 6 deck in 52-, 60- and 72-inch cutting widths. Whatever combination you choose, operators will ride in unrivaled comfort thanks to our unique seating system. There's even a standard 12-volt adapter to keep devices charged. 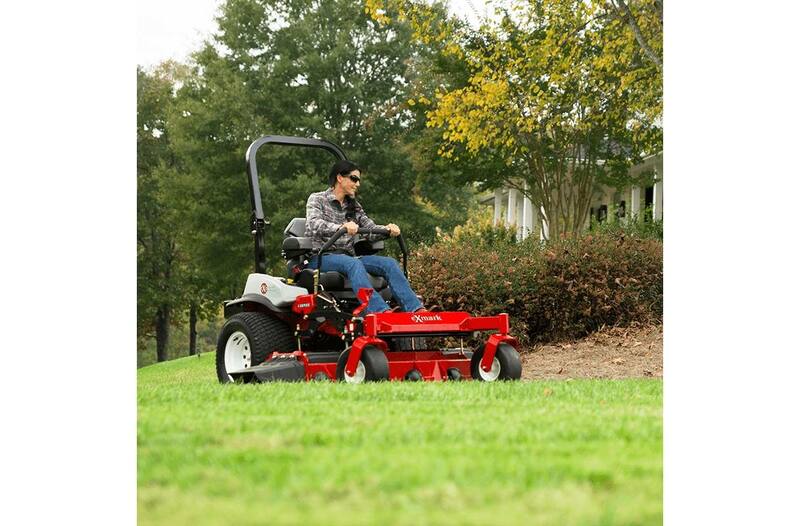 So, if you're looking for our top-of-the-line mower, the Lazer Z X-Series should be at the top of your list. Front Caster Tires: 13 x 5.0-6, smooth-tread, semi-pneumatic. Electrical: 12-volt battery with 20-amp alternator. Drive Description: Two Exmark exclusive Parker unitized pump and wheel motor systems with no hoses, integrated cooling fans, 1.7-quart integrated reservoir, spin-on filter and heavy-duty components. 12 cc pumps and 14. 5 cubic inch motors. Width / Cutting Deck: 52"
Deck Style Description: Full-floating UltraCut Series 6 with heavy-duty spindle. Side discharge standard with the option to bag or mulch. 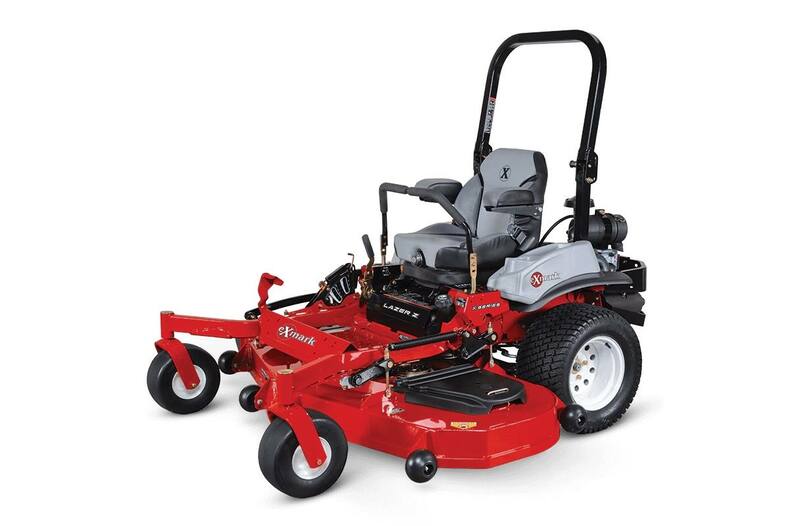 Deck Construction: 10-gauge top that is formed and continuously seam welded, 7-gauge side skirt and 7-gauge reinforced spindle mounting locations for improved strength and reduced weight.